Do you know an outstanding local police officer, EMT, or fireman? If so, nominate that person for the Swier Law Firm Hero of the Game. Maybe you have a neighbor or co-worker who you think is a hero. 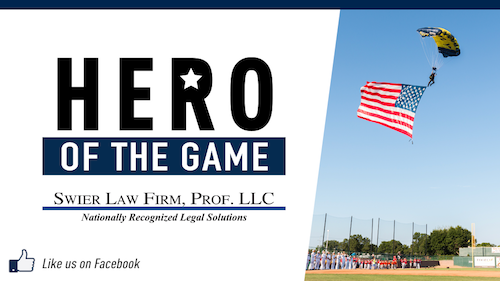 If so, nominate that person for the Swier Law Firm Hero of the Game. Each honored hero will receive up to four (4) tickets to a Sioux Falls Canaries home game during the 2018 season, be recognized during the game, and receive a swag bag full of goodies!